A promise is a promise. 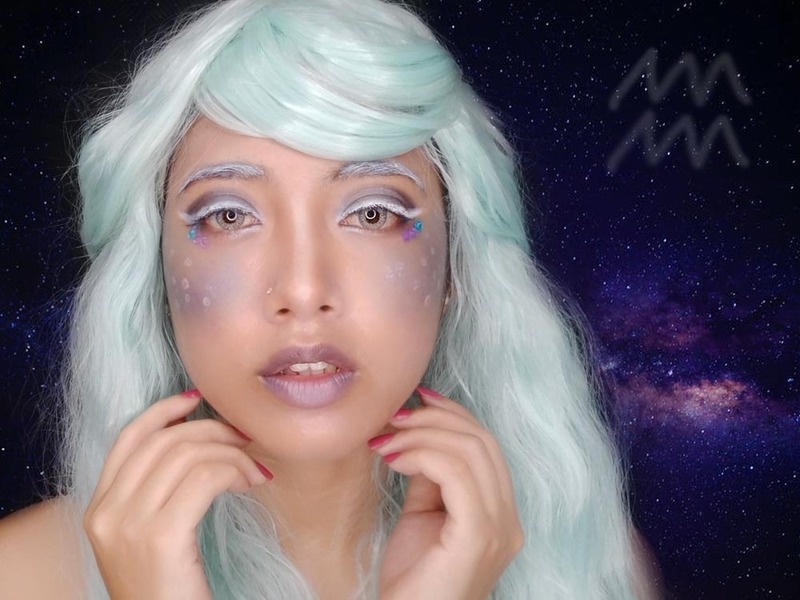 Despite the delay of a month, I am still going to share with you how to makeup like an Aquarius. 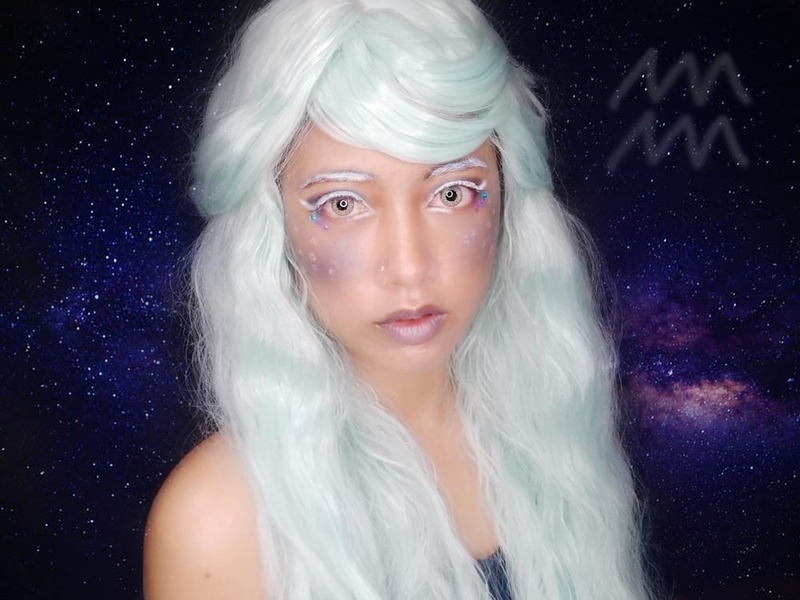 As usual, before we get into the makeup tutorial, allow me to explain one of the most prominent traits of an Aquarian; they present themselves in one of two ways. Sometimes, you'll see them as a shy and quiet person, and at other times, they can be the most eccentric and energetic soul out of the bunch. 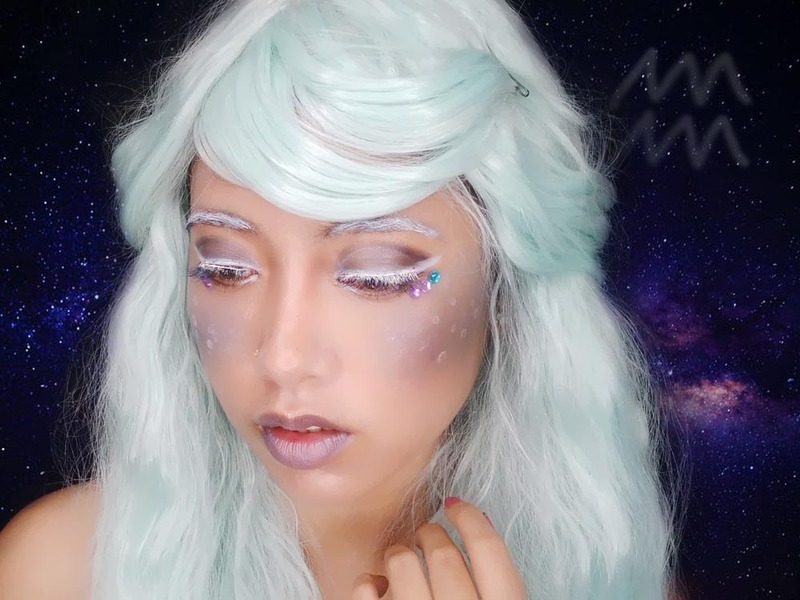 For this tutorial, I tried to approach the shy look with a dash of eccentric dust. Trust me, this look is as simple as it gets. You will mainly need blue or purple or turquoise hues of eyeshadow and a pigmented white eyeliner. Oh! And if you have a white long hair wig, throw that on and your look will be perfect! How would you rate this look? I would love to 'hear' your thoughts in the comment box below, thank you! Wow, nice sangat. Dengan kening, bulu mata sekali warna putih..ada event tema mermaid...boleh try makeup camni. It looks so artistic the look and the hair compliments everything! Maybe we can collab on doing makeup tutorials soon 😌 In my pov, maybe you can pull something bold for the lips so it looks more bolder and funkier. the white hair wig = marveles. sgt sesuai dgn make up. perfect. for me the eyeshadow is my favourite. Rambut tu sesuai dengan tema make up... Ros suka teknik blusher tu. Macam purple kan.
Wow sangat mekap ikut bintang. Teruja tengok.sanngat kreatif dan kombinasi warna sangat sesuai dan serasi. Babe, you really awesome. I like your soft makeup. Look so Aquarius. More tutorial babe. Wow! that's stunning. I love the overall finishing especially your eye makeup. Omg so so tempted to try this.